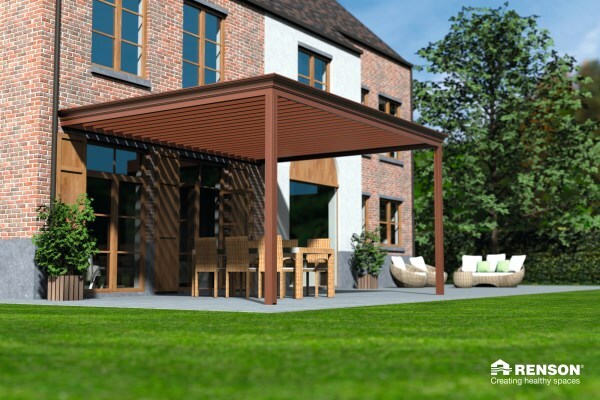 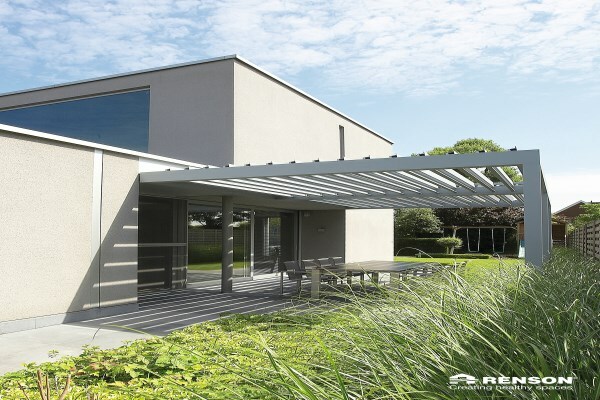 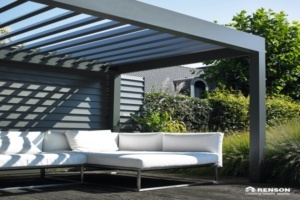 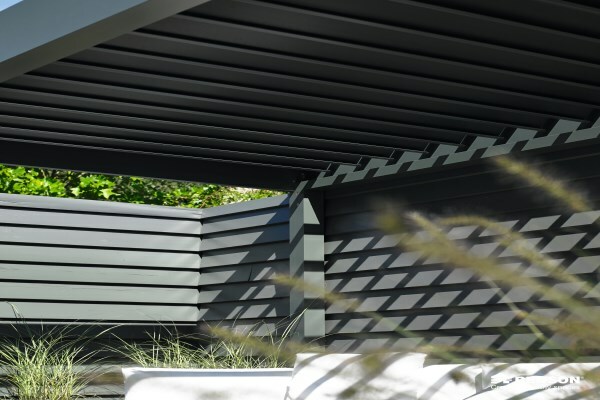 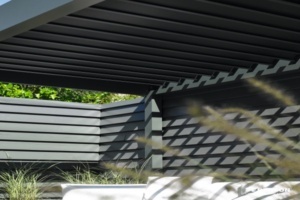 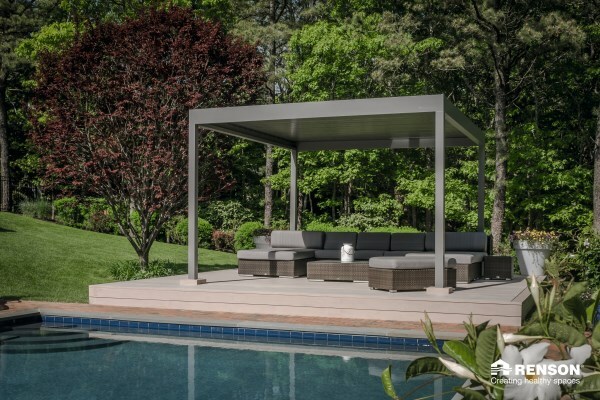 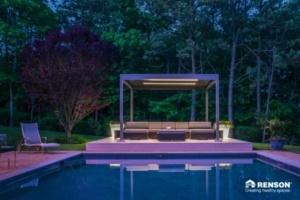 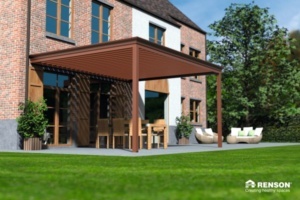 This stylish fully aluminium pergola from Renson –with a flat sun and water proof roof will transform any outdoor terrace in to a warm pleasant area. 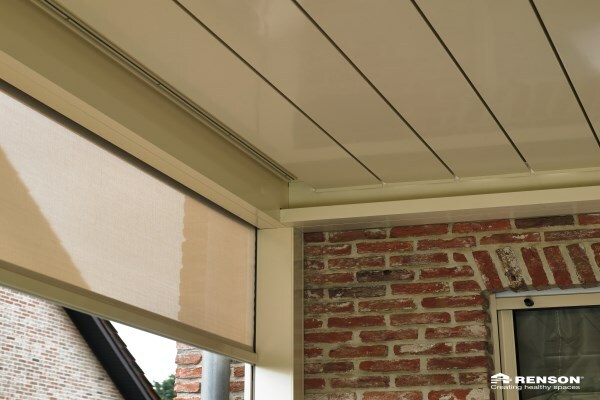 The system uses a rotating blade technology, enabling the user to be able to control sun protection, ventilation and cooling as and when required. 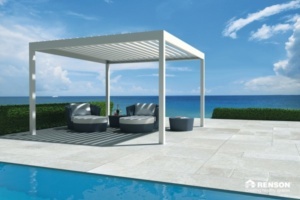 Maximum size of single module 6m x 4m. Available in a range of RAL Colours.